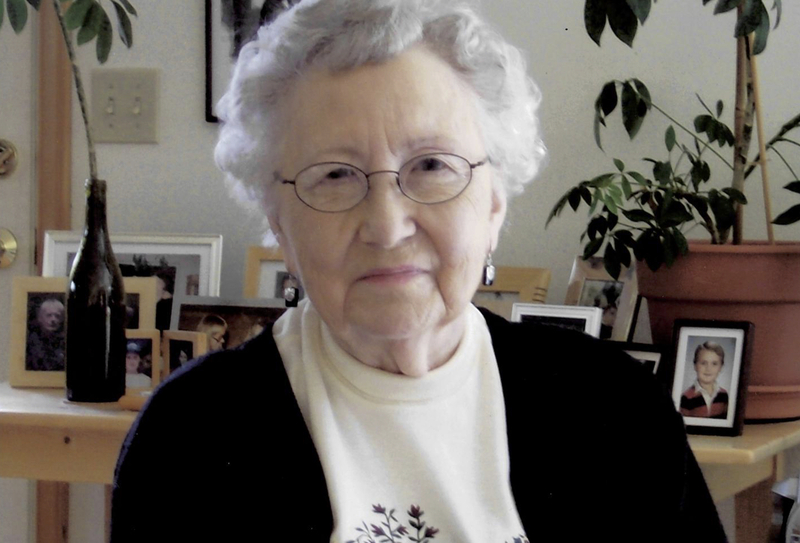 Margaret Anne (Woods) Laughlin was born to William Norton Woods and Erma Lucile (Stanley) Woods in 1921. She was raised on the family farm outside Maumee, Ohio, along with her older brother, Bill, and her three sisters, Virginia, Barbara and Molly. She lived on the farm until she attended Miami University, where she earned her bachelors degree in mathematics. After graduation, Margaret worked for the Proctor and Gamble Company, first in Cincinnati and then in Chicago, Illinois. She met and married her husband, Fredrick James Laughlin, in Chicago at the end of World War II. They moved to California after his discharge from the Marine Corp. They raised their family of three children, Thomas, James and Lou Anne, in Glendale, where she taught junior high school math for 30 years. She earned her masters degree in public administration from the University of California at Los Angeles. Margaret was widowed in 1976 when Fredrick (Fritz) died of a stroke. Upon her retirement, she traveled extensively to China, Egypt, Europe, Mexico and throughout the United States. She visited museums, botanical gardens and art galleries all over the world. She especially enjoyed the great wall of China and the pyramids of Egypt and Mexico. Margaret moved from her home in Glendale to Bellingham, Washington in 2006. She lived at the Willows Retirement Apartments for 9 years, before going into nursing care. She is survived by her 3 children, 10 grandchildren and 13 great grandchildren. She lived a good, long life and died peacefully at the age of 97.